Vacuum drying chamber is widely used in biochemistry, chemical pharmacy, medical and health, agricultural research and other research fields. It is used for powder drying, baking and disinfection and sterilization of various glass containers. It can also greatly reduce the boiling point of the liquid to be expelled in vacuum environment, so the vacuum drying box can be well used in the experiment of powder and granular samples. Compared with the ordinary drying chamber which relies on air circulation, the powder sample will not be blown away when drying. Vacuum drying box whether in use or in place, there are several points to pay attention to, the following are the details of the vacuum drying box can not be ignored. 1. Vacuum drying box should not be installed in the place where sunlight can directly irradiate, otherwise the equipment will not achieve the expected performance. 2. Placing the environment space needs a bit larger. 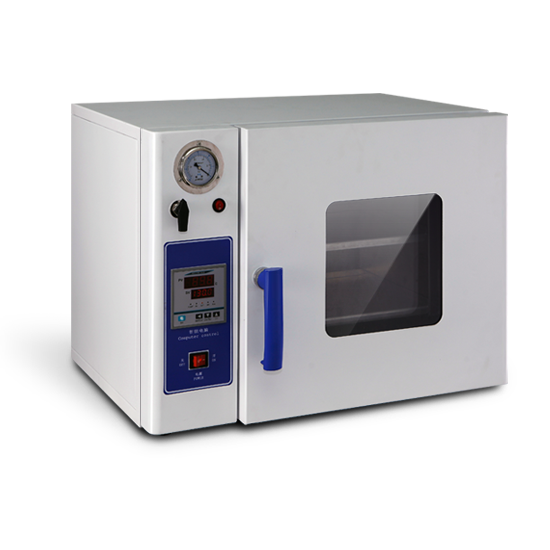 If a vacuum drying box is used in a narrow and closed space, it will cause the equipment to be unable to heat and affect the normal operation of the equipment. The distance between the equipment and the wall should be 10 centimeters. 3. High-temperature equipment such as boilers or heaters should not be near the equipment of vacuum drying box. Excessive external heat will affect the normal operation and control performance of vacuum drying box. 4. The humidity of the place near the vacuum drying box should not exceed 70%. Excessive ambient humidity will lead to leakage or electric shock of the equipment. Vacuum drying box should not be used outdoors. 5. Vacuum drying box should not be placed near flammable or corrosive gases. Otherwise, it is easy to cause leakage and electric shock due to corrosion, which may cause explosion or fire. 6. Vacuum drying boxes should be placed on a solid and flat ground, which is conducive to the normal operation of the equipment and avoids the shaking and noise caused by the wrong placement of the equipment. 1. Open the door by pulling the door handle upward and pulling the door outward to the right. 2. Shield the shelf by hand, and then pull the push rod out of the shelf to loosen. 3. Remove the shelf accessories inside the equipment and wipe the shelf and the inner wall of the box with gauze for cleaning. 4. Put the shelf into the equipment according to the drying or experimental requirements, then press the push rod inward, and the shelf can be installed. 6. If you need to place items on the same shelf, leave space between them for drying.